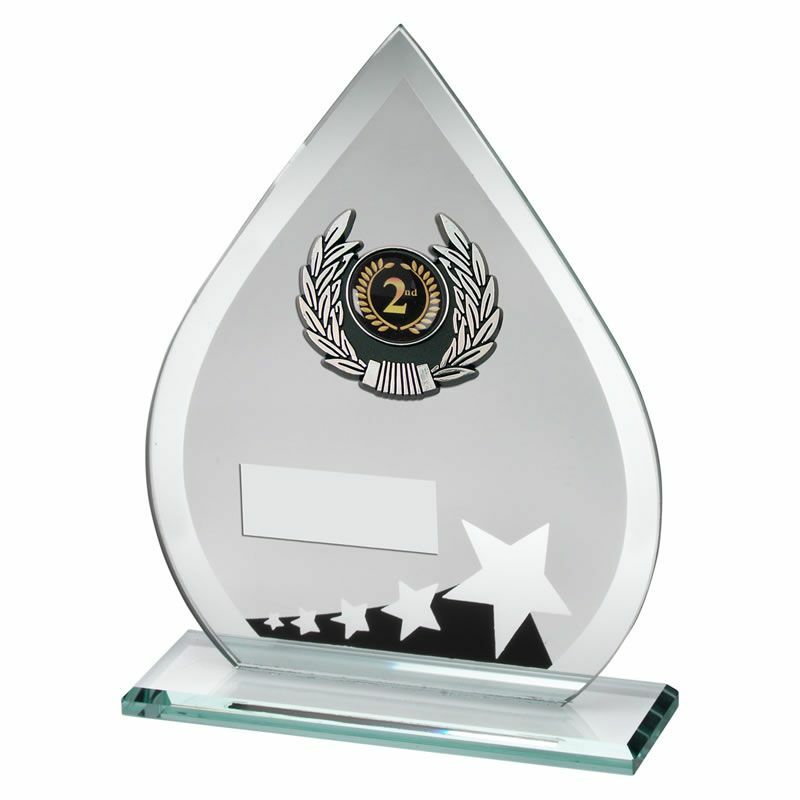 These 2nd place plaques are crafted in jade glass with black and silver trim. 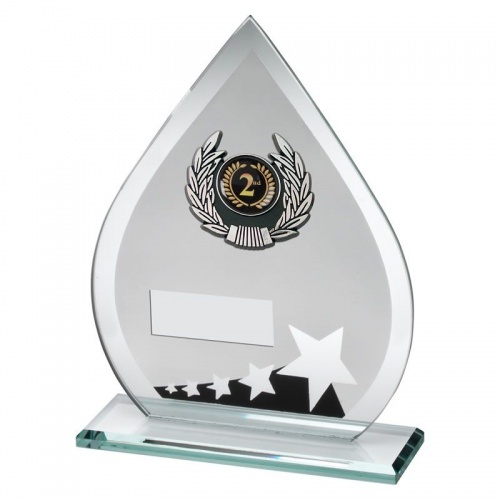 They have a stylish teardrop shape design with flat jade glass base and stand 7.25in / 184mm tall. They include a 1in centre with '2nd' motif inset in a silver trim laurel wreath border.